Annie Walker's (Kristen Wiig) keys from the 2011 Paul Feig comedy hit, Bridesmaids. In the film, Annie (Kirsten Wiig) finds herself at odds with her fellow bridesmaids while preparing for the wedding of her best friend, Lillian (Maya Rudolph). 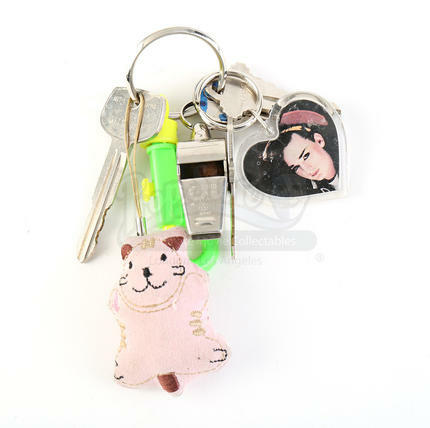 Annie uses her keys to enter her home and use her car throughout the film. 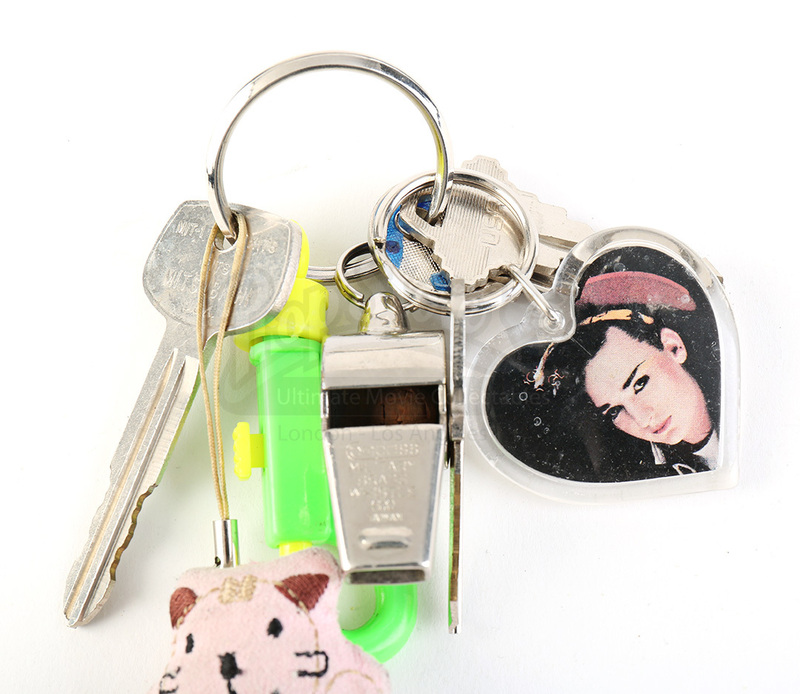 The set consists of four metal keys, a green plastic keyring hook, a metal whistle, a plush keychain and a heart-shaped keychain with a double-sided photo of Boy George. Also included with the keys is an individual key labelled "Spare Lillian". The piece shows minimal signs of wear from production use and remains in great overall condition.